Schlick 2000 is the ski arena of Fulpmes, nestled in the stunningly beautiful Stubai Valley. Of all the skiresorts in Tyrol this is probably not the most obvious destination for wintersporter enthousiasts. Why that is? I have absolutely no idea! Residents of nearby Innsbruck -just 20 minutes away- probably do not regret that Fulpmes has not yet been discovered by mass-tourism. Schlick 2000 provides them with a quiet getaway in their own backyard. Although Innsbruck has several attractive ski opportunities itself, Schlick 2000 - in contrast - offers wide tree-lined slopes in a dramatic setting combined with world-class hospitality and charm. The slopes of Schlick 2000 are varied and suit nearly every skill-level, Schlick 2000 might not be your first choice if you are an upper-intermediate or advanced skier. Largely due to the fact that it has only one black slope and the skiarea is relatively small. But please reconsider, as there are many challenging powder runs and some tough back-country off-piste slopes. And there is usually more than enough powder as this part of the Stubaital has an excellent track-record in snowdepth. Moreover, as opposed to popular skiresorts like for example Ischgl and Sankt Anton the powder runs in Schlick 2000 are nearly your own domain. Take into account the varied array of reds and blues, a lovely free-ride park, a speed-strecke, and more important the interchange and arrangement of the slopes and I am pretty sure the qualification ‘challenging’ is an understatement. 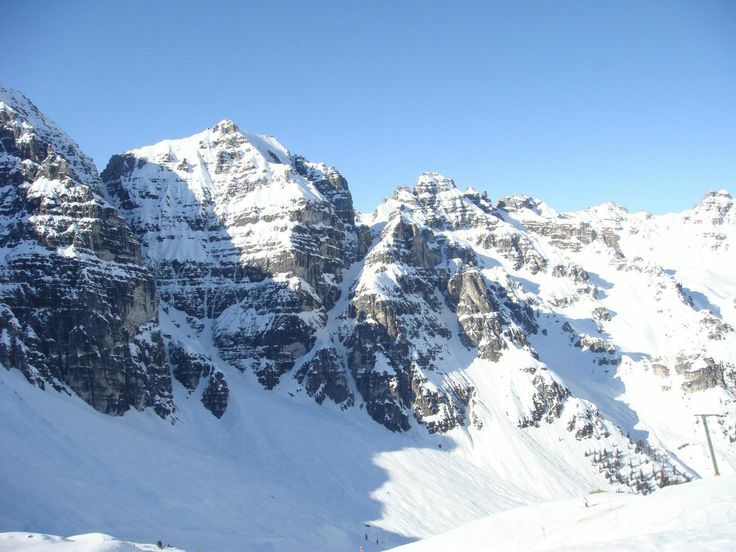 The compact ski area features more than 25km of well groomed runs which are just perfect for beginners, intermediates and those looking for scenic slopes. Most of the slopes are wide, forgiving and practically all cut down through forest and provide many stunning views. An ideal playground for cruising and relaxing. The modern Kreuzjochbahn, just outside the village center, brings you straight to the incredibly scenic Kreuzjoch (2136m). A bit further up the mountain, at the Sennjoch (2240m), a wide selection of challenging red slopes is presented which all converge into a huge Autobahn to the Froneben middle station. The long wide slope is tempting for speeding, but you will probably slow down to enjoy the wonderful rugged backdrop dominated by the Marchreisen Spitze (2620m). The Kalkkögel limestone formations are known as the Dolomites of North Tyrol. The sheltered location of the Schlicker Alm ski area and the tree-lined runs lower down guarantee calm weather conditions, and excellent visibility even on days with bad weather. 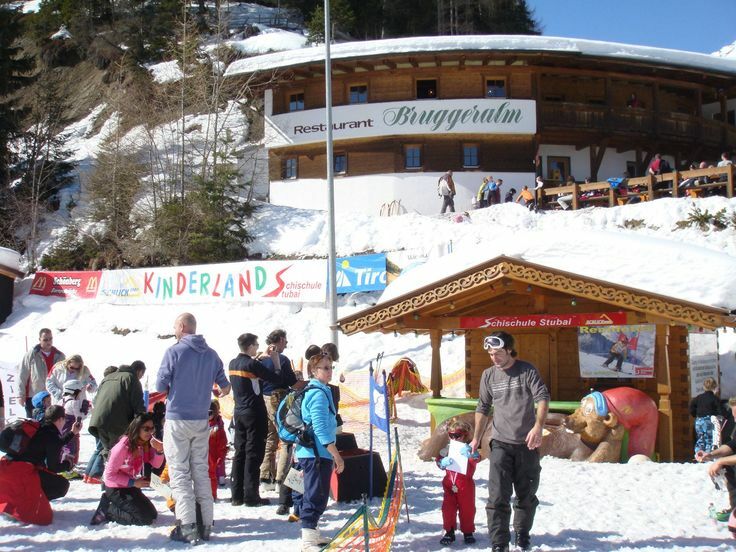 The compact, and comprehensible lay-out of the Schlick 2000 skiarea makes Fulpmes an excellent destination for families, especially if you have young children. This skiresort made the extra mile to satisfy every parent and leaves nothing to be desired for. It offers all-day childcare facilities at Ronny’s Kinderland near the Froneben middle-station. It has an excellent children’s learning area and snowpark, complete with magic carpet and carousel ski lifts. Full day or half day bookings are available, with the option of spending half a day off the snow in the non-ski kindergarten if desired. The Kindergarten Fulpmes takes children aged for three to six. There is also a toddler facility run by well-trained staff. Special deals including free kindergarten may be available if parents are booked in ski school, and children up to the age of 10 get FREE access to the facilities of Schlick 2000 (or those of the Stubaital) when one of the parents buys a liftpass. How about that! Furthermore, Fulpmes has excellent local ski schools, lessons start on the easy runs of the Froneben before moving on to the Schlicker Alm. 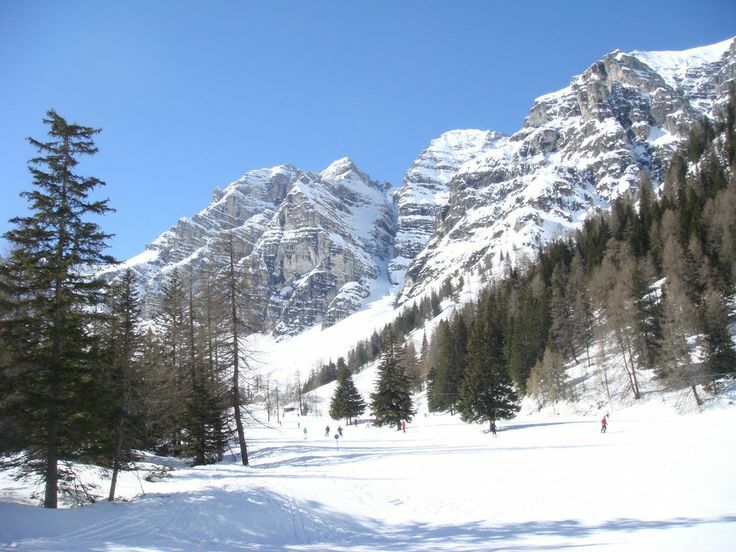 Opposite Fulpmes there are two more -small- family ski areas: Elfer (Neustift) and Serles (Mieders). Further down the valley there is the famous Stubaier Glacier with it’s own Kindergarten at the Gamsgarten station. In 2012 the ADAC Skiguide awarded the Stubai Valley the title of “most family friendly ski area in the Alps” for the third time. Schlick 2000 has a remarkable number of authentic and cosy alpine huts and restuarants where you can relax. All of them offer a spectacular view on both the Stubai and Inn Valley, as well as the impressive Kalkkögel mountains. Parents who like to watch their children make their first ‘steps’ in this wonderful sport can do this from the sundeck of bergrestaurant Bruggeralm just above the Kinderland. This is also one of the best Apres-ski bars. 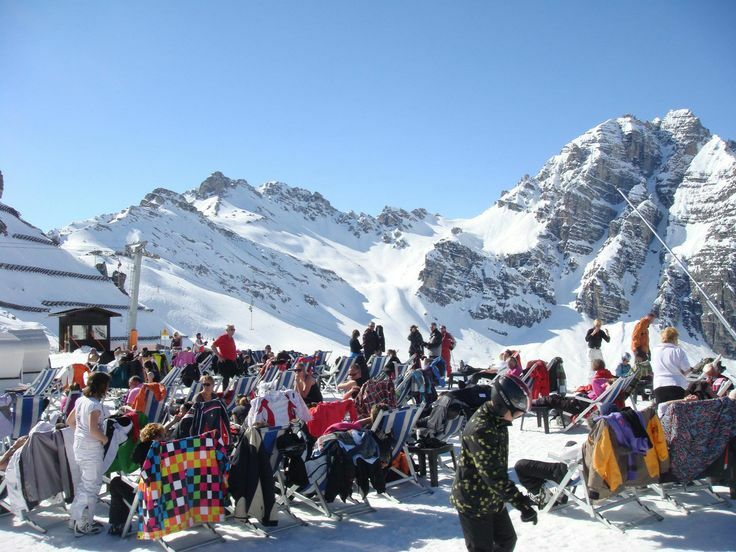 There are several apres-ski venues both in the Schlick 2000 area and in Fulpmes. Apres-ski starts a bit early compared to other skiresorts. If you are used to a more lively atmosphere, there are additional possibilities in nearby Neustift. For upscale nightlife Innsbruck is just a stone’s throw away. Fulpmes is a small and traditional village, it offers several cosy restaurants where you will enjoy excellent Tyrolean dishes. Furtermore, folklore evenings, dance clubs and bars contribute to the other entertainment opportunities. In Fulpmes you will have a lovely time no matter how long your stay; coming for a ski weekend, a snowboard break or a full ski holiday. Fulpmes is a true insider’s tip for winter sports enthusiasts and tourists who adore beautiful views and a quiet environment. The peaceful atmosphere in the charming village will embrace you and provide you a total relaxation. Fulpmes is perfect for beginners and families with young children, romantic wintersport enthousiast, and those who want to relax and unwind in a picturesque environment. It’s sheltered location guarantees in general excellent snow and makes it a safe choice from mid-November to April. The largest skiable of Austria glacier is around the corner. Fulpmes is just 20 minutes South of Innsbruck. The Subai Valley is accessible by the Brennerautobahn from Innsbruck. Several low-cost airlines operate to Innsbruck. Dutch airline Transavia provides frequent flights to Innsbruck from Amsterdam, Rotterdam, Eindhoven and Groningen. AirBerlin operates from Berlin. EasyJet is based on London Gatwick. Innsbruck’s Hauptbahnhof is a major hub for international trains. From the train station you can hop on the Stubaitalbahn to Fulpmes. For more information on Fulpmes and Schlick2000 please visit the official websites of Schlick 2000 and Stubai Valley.